Greece used to be a strong economy with one of the highest gross domestic product in the world. It has however, considerably weakened since its debt crisis in 2010, where several neighbouring countries had to step in with bailout aids to help Greece pay the bills. Athens is the 28th most expensive city in the world. But despite this, immigrants still flock to the Grecian cities. The country ranks 22nd in the worldwide quality-of-life index. Non-nationals of Greece or non- EU (European Union) nationals may purchase properties in Greece. Prices are relatively lower in comparison to other European countries and the United States. Around 3000 properties have been sold to foreign nationals as of 2003. Apartments and village homes can cost as little as 40,000-200,000 Euros for a considerably large plot of land with a swimming pool. If you're not ready to purchase a property then you can always lease a home. Apartments are the most popular option, as they are already furnished most of the time and can be found in convenient locations. A single bedroom apartment which comes fully-furnished would cost about 500 Euros per month. Electricity and water supply costs about 40 Euros and 15 Euros respectively, though in some housing lease arrangements, the cost of both can be included in the monthly rent. Telephone and Internet connections are now widely available and are mostly affordable depending on the speed. The average cost for both would be 40 Euros per month, already including charges for calls. Eating out is generally more expensive than cooking your own meals. A simple meal with salad, main course, and a soft drink would cost about 12 Euros. That is not the nett amount as it does not include service charge and tipping, which is somewhat customary. On the other hand, most grocery items are affordable. Bread, for example, costs only 0.60 Euros. 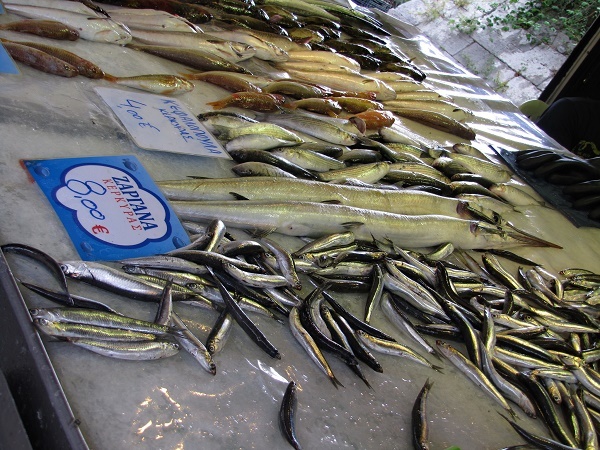 As Greece is an agricultural country, markets offer a variety of fresh fruits and vegetables and low prices. Meats, however, tend to be a little pricey, especially for seafood. The cost of a pork steak would be about seven to eight Euros, while fish can go up to about 45 to 65 Euros per kilo. Getting around the smaller towns and villages can be done on foot, especially if you're out for some leisure time. However, for longer distances, public transportation is readily available. The most popular and most affordable means of transportation would be through public buses. There are two kinds of public buses in Greece: The Astiko, which goes around the towns and villages of large cities like Athens and the intercity buses which go to major Greek cities. A monthly pass would cost around 34 Euros. If you prefer owning a private vehicle, a small family car costs about 6700 Euro. A litre of gas costs about 1.06 to 1.50 Euros. An individual would spend an average of about 100 Euros every month for clothing, depending on need, and the choice of brands. Dressing styles are highly influenced by Western culture, although traditional clothes like shawls, belts, and other garments in white and gold are still available. Designer brands can also be found in malls and are priced almost the same as they are in the UK or the US. Greece’s median salary sits slightly below average in the European Union in 2015 at 1000 Euros. This is in contrast with Luxemburg, which scored the highest at over 3000 euros, and Bulgaria, which hit the bottom at around 360 Euros. While not ideal, it is comforting to know that Greece implements a minimum wage system based on job category and age to maintain a certain benchmark. Education is compulsory for children aged six to fifteen and secondary schooling is fully subsidised by the government. Most expats send their children to Greek primary and secondary schools and later opt for university schooling in other EU countries. Emergency care is free in public hospitals for anyone, regardless of nationality. Expats who contribute to the Greek social insurance fund will be entitled discounts and benefits at public hospitals. They will be issued a AMKA with a unique social security number. Expats not registered for the fund will have to rely on private healthcare insurance or the EU Health Insurance Card. Otherwise, they will have to pay their medical bills upfront and that may be costly, especially for non-essential medicines and accessories.